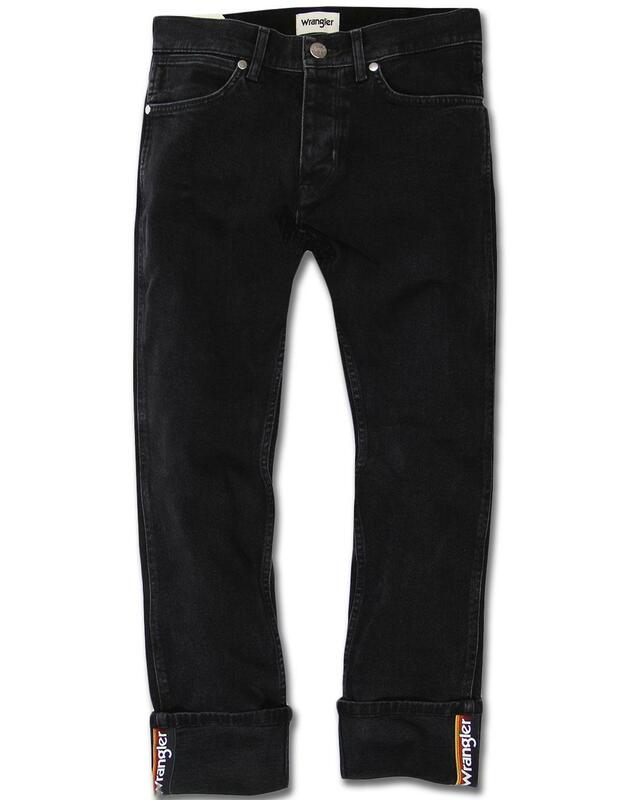 Wrangler 'Spencer' Men's Retro 1970s style signature cuff slim straight jeans in Pigeon Bar (Faded Black) denim. 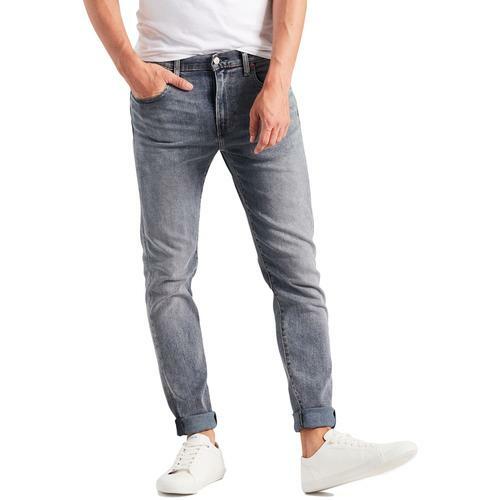 These 'Spencer' slim jeans feature a Vintage 1970s style Wrangler hidden tape cuff that can be exposed for maximum visual impact when wearing as turn ups. 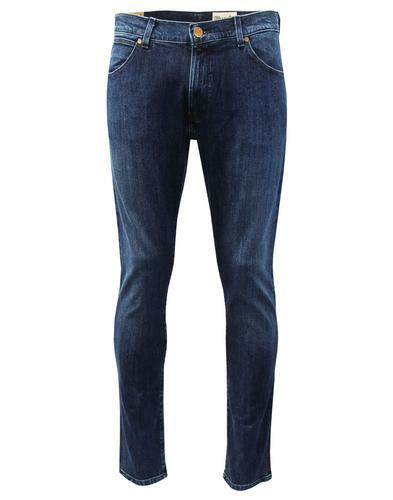 The iconic Wrangler rainbow signature adds a cool colour pop and works great with the Retro faded black stretch denim. Striking silver rivets and button waistband add to this 'Spencer' jeans Indie look and the tonal 'W' back pocket stitch finishes the jean off in style. 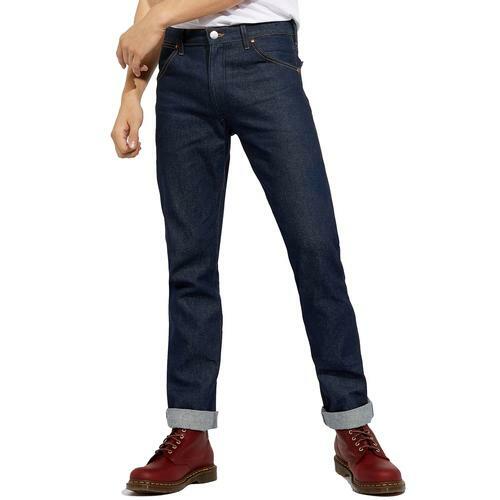 Wrangler 'Spencer' are a contemporary slim fit denim jean with low rise waist and narrow ankle. 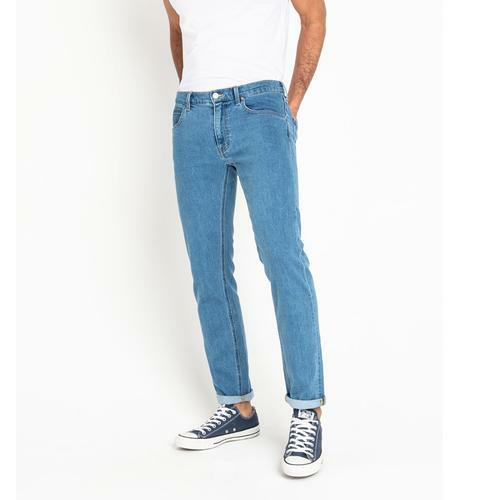 - Wrangler 'Spencer' men's retro 70s signature cuff denim jeans. - Faded black stretch denim construction. - Turn the cuffs up to unveil the classic Wrangler rainbow signature tape detail. - SKU: W16A0913C Spencer Jeans. Care: Machine wash separately. Please refer to garment label.